Charlottesville, VA – As white supremacist groups continue to hold “free speech” events in the wake of the deadly hit-and-run attack in Charlottesville, many elements of the self-named “alt-right” have come under increased scrutiny. Organizations have been refused service by web providers and payment processors. Many individuals are facing personal consequences at home and work. The insurgent neo-fascist movement is being repeatedly shamed, confronted, and rejected in the wake of the murder of Heather Heyer by neo-Nazi James Alex Fields, Jr. after the Unite The Right rally ended in failure on August 12 in Virginia. We are releasing another 428 screenshots from the main white supremacist chat server used to organize the Charlottesville rally, highlighting the web of far-right racist organizations involved and their extensive preparations for violence. While the aftermath of Heather Heyer’s death still unfolds, many people are also wondering why so many of the racist assaults captured on camera in Charlottesville, including several beatings of black men by white supremacists with clubs, remain unaddressed. As many locals and antifascists had told Charlottesville authorities for months, the racist groups planning to converge there had been openly preparing a violent offensive. 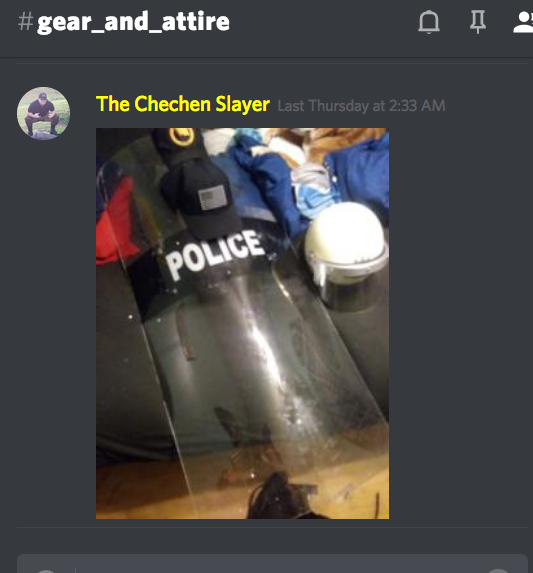 The contents of a Discord chat server called “Charlottesville 2.0,” used by organizers and attendees of Unite The Right to coordinate nearly all aspects of their quasi-paramilitary campaign, were leaked to Unicorn Riot by an anonymous source earlier this month. 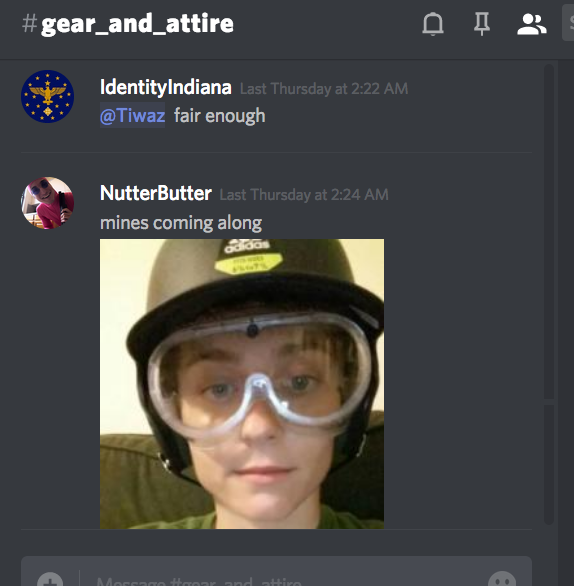 Discord, a group communication platform first intended for team raids in video games, has recently been widely adopted by neo-fascist groups, whose members now often include extremely young men or boys who identify as gamers. The selection of leaked material we publish here today shows how the Discord server run by Unite The Right organizers, including Eli Mosley and Jason Kessler, was used to openly celebrate and incite violence. The chat logs also show how white supremacist groups collaborated on shared symbolism (mostly avoiding swastikas and embracing other less known, more media-friendly, fascist imagery), and distributed memes and talking points as part of an organized propaganda operation. Click here to close the slideshow. Use left/right arrow keys, swipe or click buttons to change slides. When we contacted alt-right organizer Eli Mosley for comment regarding the many statements encouraging violence on a server he helped manage, he told us that he had always advised others against violence. 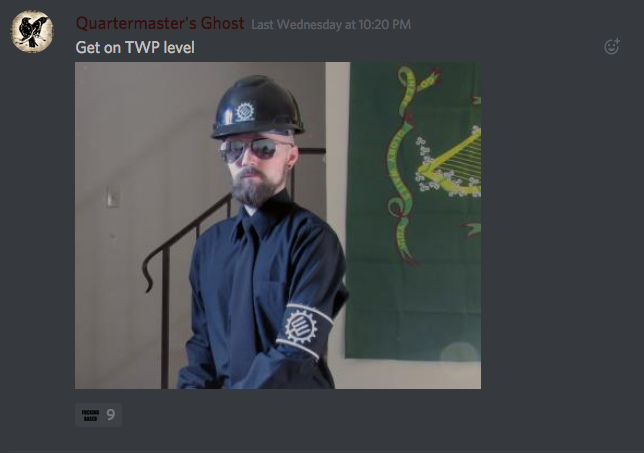 While some past statements by Mosley exist to support his assertion, Discord posts made by Mosley make it clear that he had the technical ability, and internal authority, to ban users from the Charlottesville 2.0 chat server. 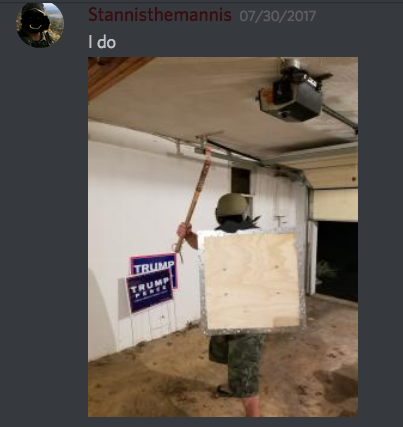 When we asked Mosley why he did not ban Unite The Right attendees who made posts to incite violence in the Discord server, such as encouraging people to run down counter-protesters with their cars, he did not respond. 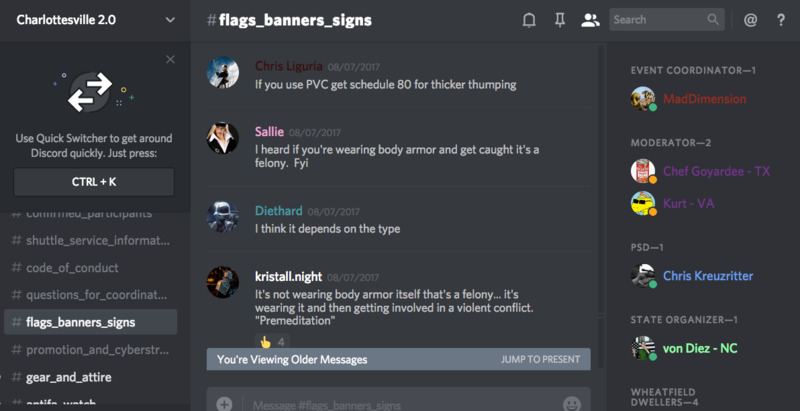 The logged chat channels from the Charlottesville 2.0 server included in this publication are: #flags_banners_signs, #promotion_and_cyberstrike, and #gear_and_attire. The #flags_banners_signs channel largely consists of images of flags from different white supremacist groups involved in Unite The Right, such as the Traditionalist Worker Party, Vanguard America, Generation Identity, and Identity Europa. 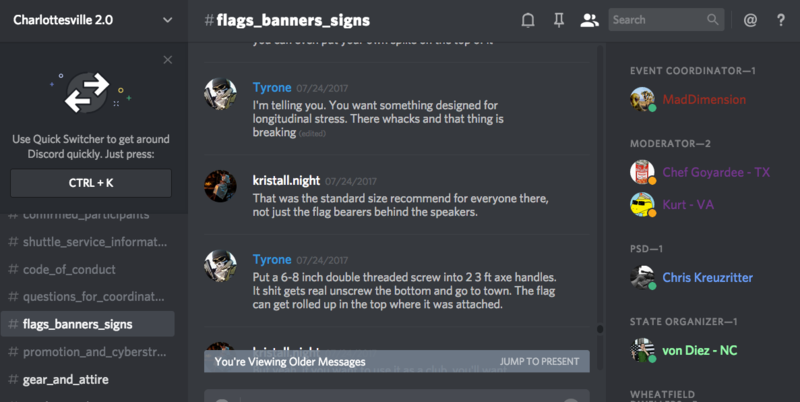 Some participants in the Unite The Right planning chat argued for adopting a black and white American flag (similar to the ‘Blue Lives Matter’ flag) as a symbol for their movement. 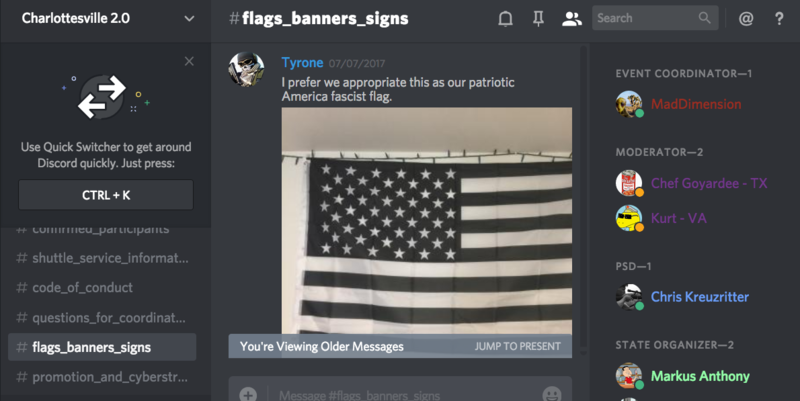 Discord user ‘kristall.night’ spoke about using the black and white flag design to promote fascism under the already-accepted aesthetics of more mainstream conservative and libertarian ideology. Discord users also discussed how to bring various kinds of weapons to the rally, with some of them giving instructions on how to embed screws into flagpoles or sign handles that could later be used as a stabbing weapon. Talk of stabbing antifascists was met with enthusiasm from many participants in the Unite The Right chat room, with one user, “Kurt – VA” quipping “impaling people is always the best.” Another Unite The Right attendee replied to this with a gruesome image of a field full of bodies impaled on stakes, and then called for this treatment to be extended to Muslims and refugees. The #promotion_and_cyberstrike channel features a lot of shared images used to publicly promote Unite The Right on social media. Unite The Right event planners made sure to tell anyone who couldn’t make the event to support the “cyberstrike” which was to take place online alongside the Charlottesville rally. Other promotional materials in the channel include a meme of Ann Coulter advocating for death squads to be used in America, and various Nazi-appropriated versions of LGBTQ imagery (such as rainbow flags with swastikas). 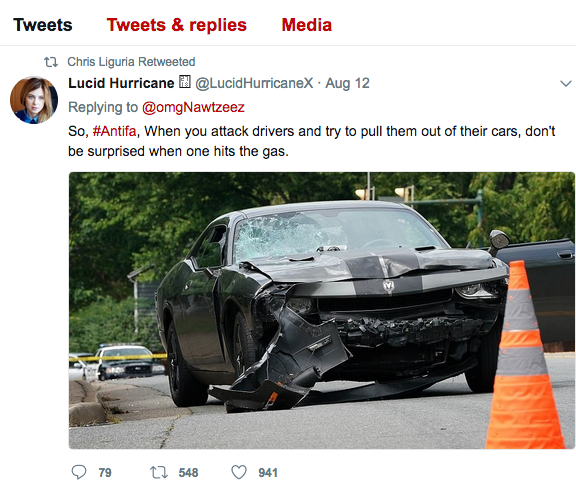 The last recorded posts in the #promotion_and_cyberstrike channel were postings mocking Heather Heyer and celebrating James Alex Fields, Jr (and his car) for running her over in the hit-and-run attack that killed her and wounded twenty others. 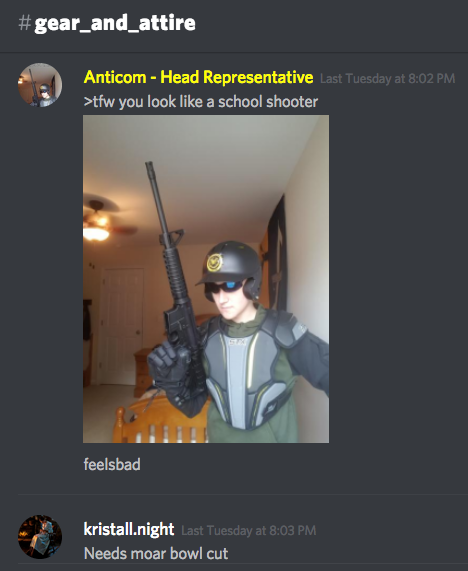 One young man identified in Discord as “Anticom – Head Representative” posted a picture of himself with an assault rifle with a joke about being a school shooter. 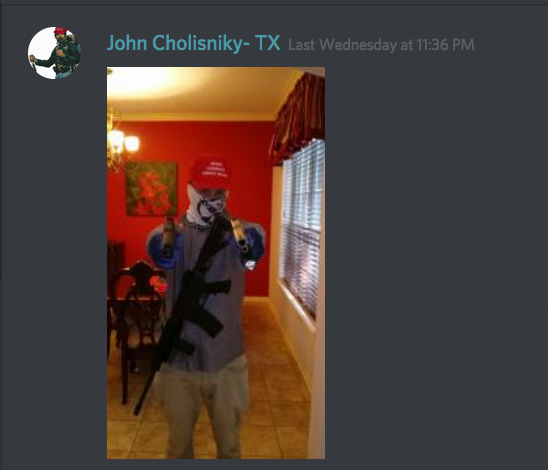 The Discord account kristall.nacht commented “needs moar bowl cut” – a reference to white supremacist killer Dylan Roof, who opened fire in a Charleston, South Carolina black church in June 2015, killing nine people. Internet racists often celebrate Roof’s killing spree by making memes featuring his bowl haircut. Anticom, short for “anti-communist action”, is a fascist youth group who call themselves “the right’s response to antifa” and claim on their website that their “mission is to defend our communities from radical political violence by physically resisting leftist terrorists and rioters.” Discord chat logs suggest Anticom, which appears to only have a few members (all young adults), is very well integrated into the broader white supremacist coalition that was collaboratively planning for Charlottesville. As the date for Unite The Right drew closer, more attendees posted photos of their weapons, armor, and racist paraphernalia, some of which were taken as selfies. As President Trump continues to passively endorse white supremacists who act in his name, ongoing fascist organizing has consistently met overwhelming opposition since August 12. The far right “free speech” rally in Boston on Saturday, August 19 was outnumbered by anti-racist counter-protesters at a ratio of about 400 to 1. Additional white supremacist rallies were set to take place in several cities around the country this upcoming weekend, but recent reports indicate most of the events were canceled by organizers after the massive anti-racist turnout in Boston. While the insurgent white nationalist network that grew using Discord’s commercial infrastructure still exists, it remains unclear to what extent, if any, the so-called “alt right” can retain the online platforms they have relied on to spread propaganda and recruit. Discord announced shortly after the tragic events of August 12, that they would be banning white supremacist users and servers for violating their terms of service. While some Discord servers used for the white supremacist organizing described in this article (such as the Charlottesville 2.0 and Alt-Right servers) have been shut down, several other servers used for identical purposes remain active.